Pastoral Records of Rev. Andrew Jackson Bowers; John Nowlin, 1766-1855; Some Revolutionary Records Filed in Franklin County, 1831-1834; Mt. Hope Presbyterian Church Cemetery Survey; William L. Compton Bible Records. 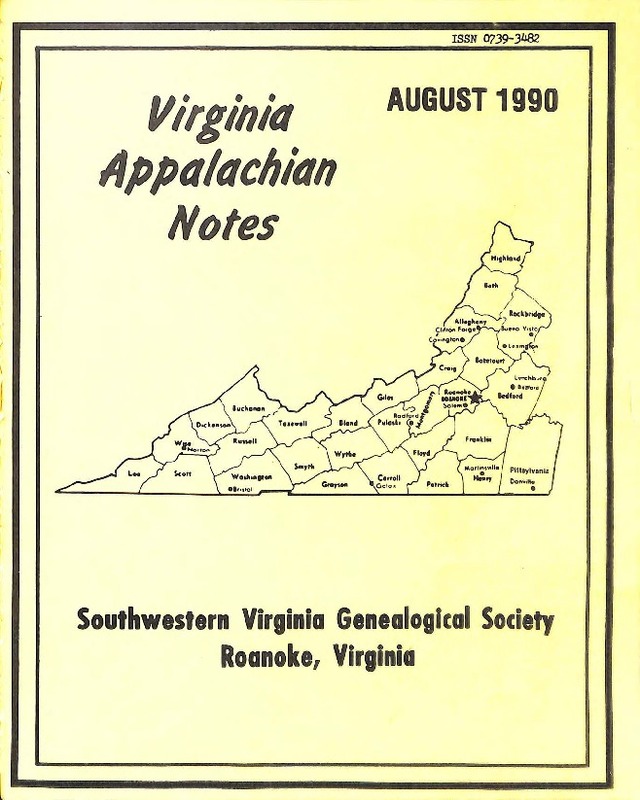 Southwestern Virginia Genealogical Society, “Virginia Appalachian Notes, Volume 14, Number 3,” Virginia Room Digital Collection, accessed April 21, 2019, http://www.virginiaroom.org/digital/document/VANv14n3.